It's the year 2018 and smartphone manufacturers are obsessed with covering their panels with as much display as possible and trimming down their bezels. This has given rise to an arms race and manufacturers are trying to find new positions for their front camera sensors. What's the best solution we've seen so far? Do I really need to fill you in on this? All tech enthusiasts are now familiar with this feature that's found its way onto modern smartphones: a notch in the display where the various sensors and the front camera are located. This was the first solution meant to push the boundaries of the screen to the extreme without having to move the components needed to take selfies. But another manufacturer had already taken things a step further. I'm talking about Xiaomi. The brand's Mi MIX made users all over the world fall in love. 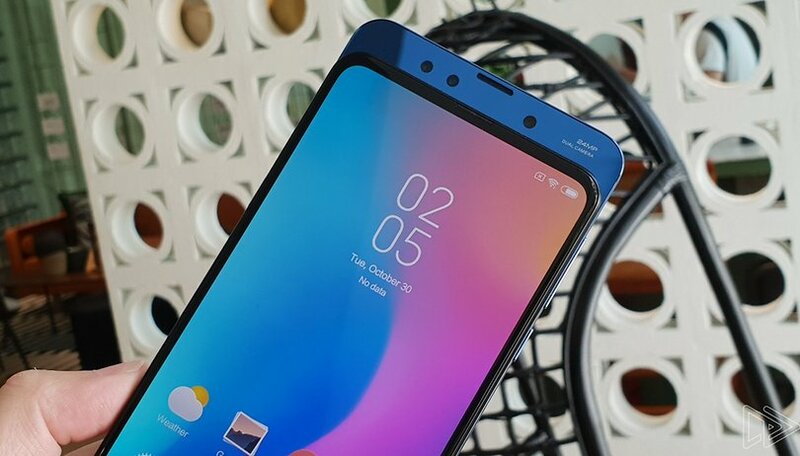 The Chinese company was able to effectively eliminate three of the four bezels around the display by moving the main camera to the edge below the display. The futuristic smartphone also had a piezoelectric system capable of vibrating the upper frame of the smartphone to transmit sound with a system similar to bone conduction. This means that the device didn't need its auditory capsule. The proximity sensor has also been moved behind the display. Recently, Samsung and Huawei presented original solutions with a small hole in the display. Samsung called its panel the Infinity-O and first implemented it in its Galaxy A8. We also already know that it will be used for the Galaxy S10 line. It seems that Huawei will be displaying its newest solution on the Nova 4, while its sister company Honor wants to integrate it on its new top-range device, the View 20. The popup camera seemed like an idea out of science fiction until Vivo introduced its design called APEX, which then became known as NEX. This solution has made it possible to move the front camera from hidden inside the body of the smartphone and then reveals it thanks to a motorized mechanism. The OPPO Find X (and its Automobili Lamborghini variant) has taken the same concept to the extreme: the entire top of the smartphone slides upward to reveal the front camera sensors that are used for 3D face recognition. On the Find X, the headphones capsule is accessible by holes that allow the sound to "pierce" the display. On the Vivo NEX. the display itself vibrates to transmit sound in a way that's similar to the Mi MIX. Smartphone manufacturers have also come up with another solution: remove the front camera altogether. Yes, you read that right! The Nubia X and the Vivo Nex 2 have chosen to completely remove the front camera to avoid problems with the mechanical parts that might fail. So how did they solve the problem? How can you take a selfie to post on social media with these smartphones? Well, it's simple: you can use the main camera and see yourself on the second display hidden in the rear! As is well known, motorized parts have a small defect: they can fail. That's why companies like Xiaomi with the Mi MIX 3 and Honor with the Magic 2 have decided to bring back an old feature. Both of these smartphones use a manual scrolling system similar to the one used in the old phones of the early 2000s. Anyone who had a Nokia certainly remembers this feature. Instead of sliding the screen upward to access the keyboard, the screen can be pulled down to show the front cameras and many of the sensors. This mechanism, which is guided by magnets, is more solid than motorized solutions and it's guaranteed to work in the long-term. Xiaomi announced that its mechanism is able to withstand being used 300,000 times. Someone went even further and used the mechanism 600,000 times. It's amazing to think that the smartphone endured this test. If you scroll with the slider 100 times a day (which is already a lot), you'll reach a total of 36,500 switches. This means that the mechanism should be able to last for 16 years. Even if you double your daily use, it should still last 8 years, which is much longer than the lifetime of most smartphones. This mechanism is extremely satisfying to use, so much so that is might help you relieve stress. This means you don't have to worry about damaging these two smartphones if you compulsively open and close the slider. I find the slider solution to be the most ingenious. Personal tastes certainly play an important role in people's choices. The slider solution is definitely my favorite (at the moment), but I want to know what yours is! What's the best place for a smartphone's selfie camera? I don't need a front camera. I actually don't use the selfie camera. It can be taken off my phones. I've used the front cam a couple of times for Skype video, but otherwise could live happily without one. Come to think, I don't know why some creative OEM doesn't adapt the old Dell PC model for building phones: go to the website, pick from a long menu of exactly what screen and battery, sensors and cameras, processing specifications, and software are wanted and watch the price go up or down to "just right", then click and get just what YOU want. I like the way Samsung Galaxy Note 9 and S9 does it. That is the best. Yes, Sony DSC-QX100, DSC-QX30 or ILCE-QX1, also DxO One. Or even the panoramic camera from Huawei, the EnVizion 360 camera, a 360-degree camera for smartphones.